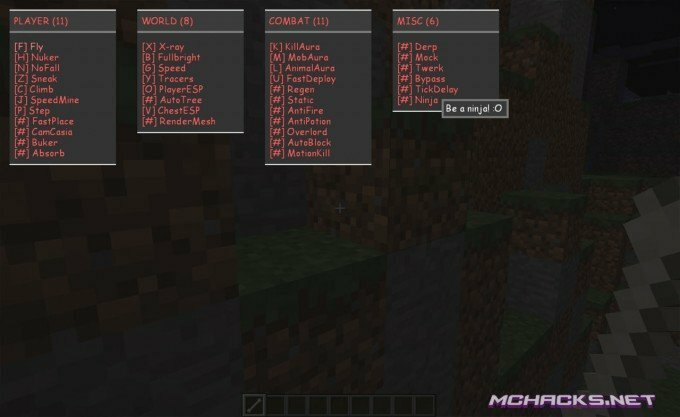 The Ghost client is a hack for Minecraft with built in OptiFine mod and support for multiple operation systems (Windows, Mac, Linux). it features some stealth tools like a Proxy Manager, Hidden Handshake Handler, Safe Pings and Protocol Switcher. 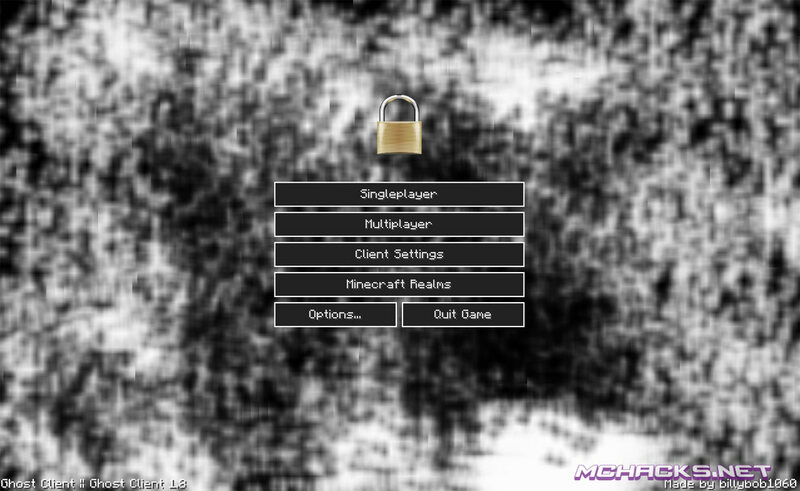 Besides this is contains lots of mods/cheats like fly, xray and kill auta just to mention a few. Overall a good client if you are looking to play PvP, combat or grief in Minecraft. 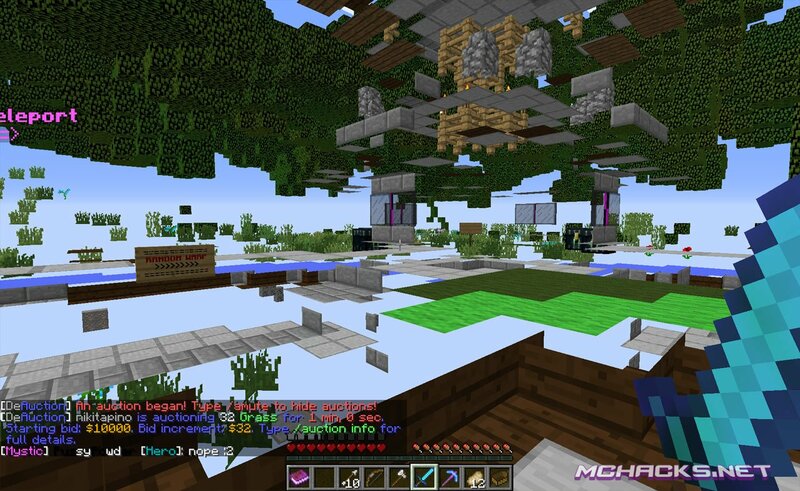 Please note that using cheats/hacks like this might get you banned from servers. 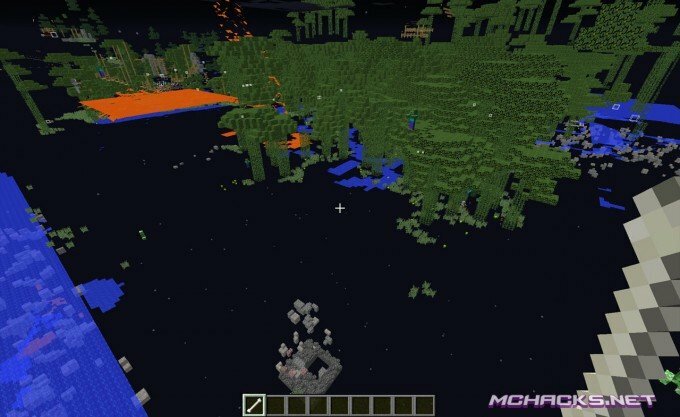 Right click on mod to change key. Choose the newly created profile “Ghost″ and click “Play”. Chose the newly created profile “Ghost″ and click “Play”. Chose the newly created profile “Ghost” and click “Play”.